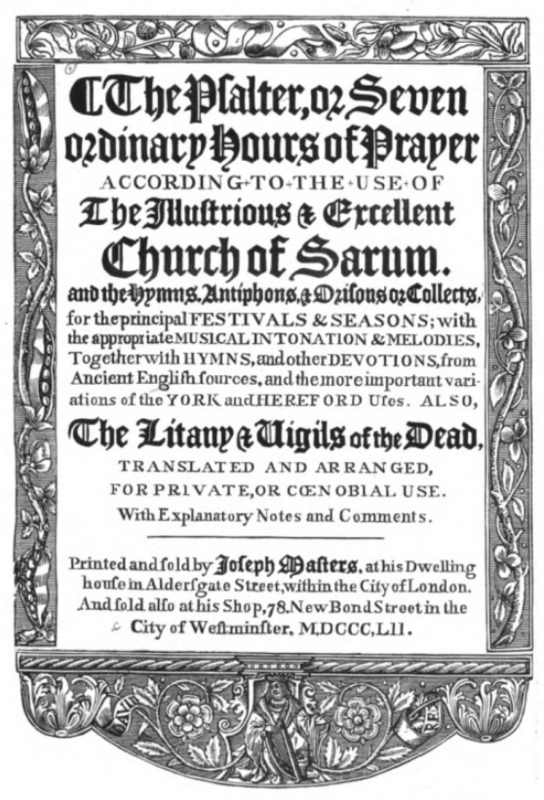 The Psalter, or seven ordinary hours of prayer according to the use of the illustrious and excellent church of Sarum. London: Joseph Masters, 1852. Provenance: Morris [purchased for 10s. 6d.]. — University of Maryland Libraries (Rare Stacks BX 5142.A2 1852). References: MS catalogue (1), fol. 14v. — MS catalogue (2), no. 498.